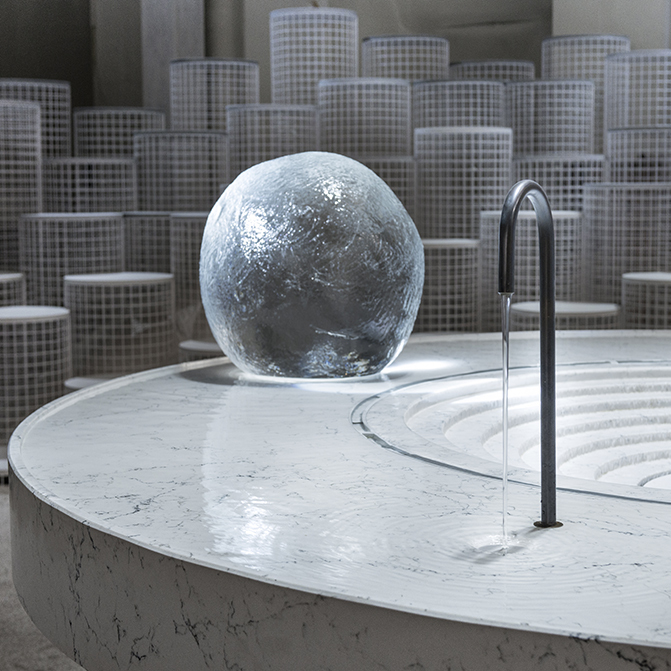 Snarkitecture and Caesarstone collaborated to create an installation exploring the changing forms of water, which was set inside an abandoned 19th-century building during this year’s Milan design week. 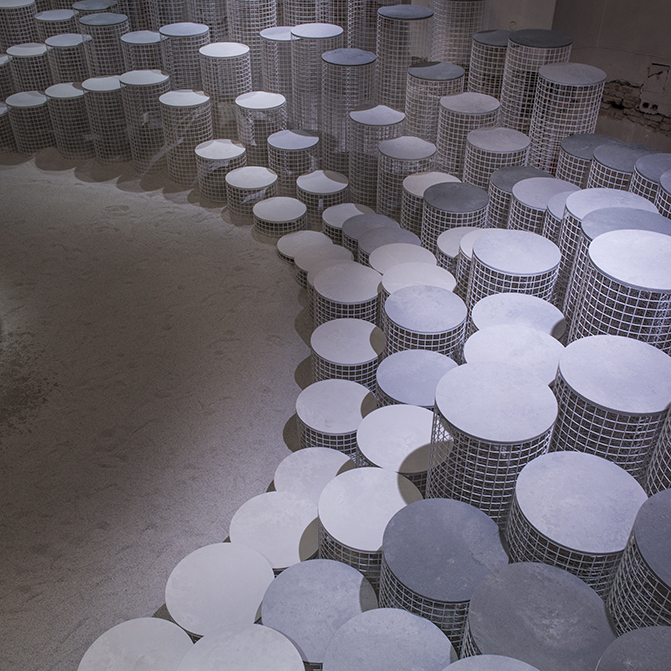 Alex Mustonen, Ben Porto and Daniel Arsham of Snarkitecture described how the brand created a breath-taking Caesarstone exhibit titled “Altered States” for Fuorisalone 2018. It artfully demonstrates the different aspects of water. 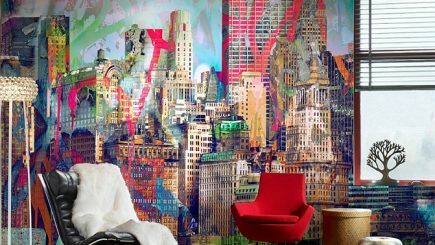 “Altered States references the continually changing states of water, from solid ice to flowing liquid to evaporating steam. They create a connection between the experience of the installation and the program of the kitchen island as it relates to simple, almost primal aspects of cooking. We wanted to invite visitors to explore a future of the kitchen that doesn’t revolve around technological or digital solutions – it’s more about a tactile connection to materials, and engagement and interaction with both the physical environment and other people within it. 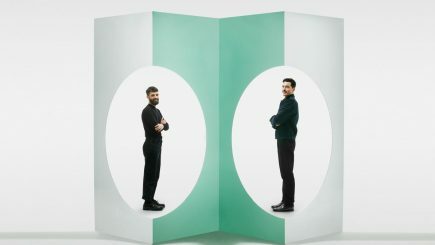 Being able to invite thousands of visitors to experience a Snarkitecture designed, interactive installation during Milan Design Week in April is, of course, an exciting opportunity,” they said. Caesarstone approached Snarkitecture with the intention of inspiring architects and designers to think about the future of the kitchen and use their material in different ways. 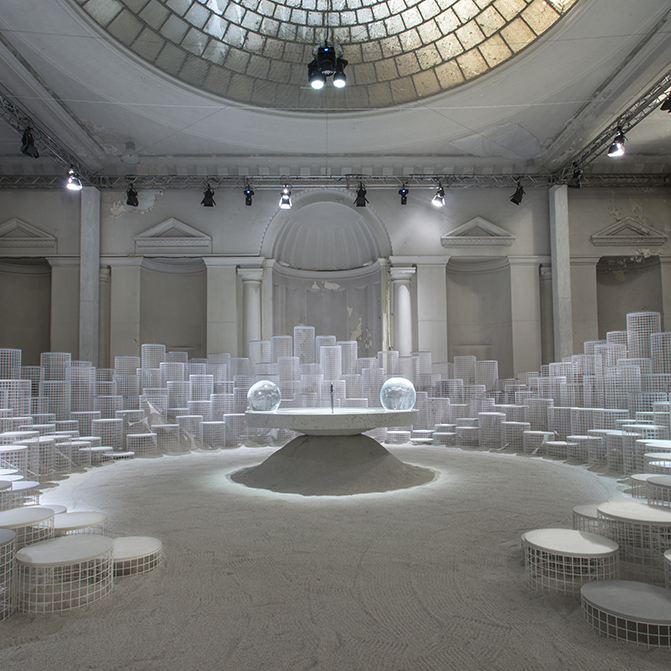 Snarkitecture viewed water as the most important “ingredient”, and drew inspiration from its varied changing states in nature. “We think the most remarkable reaction we saw from guests was the sense of discovery that unfolded as they moved through the space and began to understand the materials in a direct tactile way – specifically, we think many individuals were surprised to find that the glowing spheres that had an almost magical quality, were actually solid ice,” the three experts from Snarkitecture added.